Packers Looking To Trade QB Matt Flynn? According to Rob Demovsky of the Green Bay Press Gazette, the Packers’ front office could be thinking about trading backup quarterback Matt Flynn if and when player movement is no longer restricted by the NFL lockout. Flynn performed well in the absence of Aaron Rodgers last season, which certainly elevated his value. But with the concussion issues surrounding Rodgers, would trading his insurance policy be a good move? 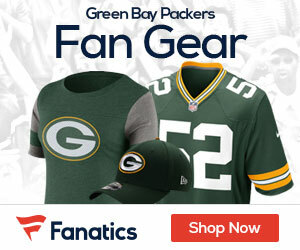 If the Packers do decide to move Matt Flynn, it would signal that they are confident in two things: Rodgers’ ability to stay on the field and current third-string quarterback Graham Harrell’s ability to play in the NFL. Harrell was a prolific passer at Texas Tech, but the knock on him was that his statistics were elevated by the system he played in, it remains to be seen if his skills will translate to the NFL.